Clone hard drive and volumes efficiently. Is there a better alternative to Stellar Drive Clone? Is Stellar Drive Clone really the best app in System category? Will Stellar Drive Clone work good on macOS 10.13.4? 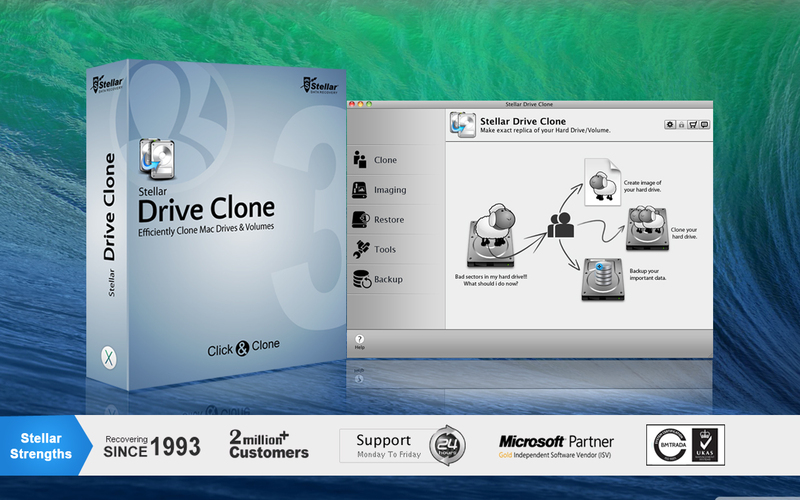 Stellar Drive Clone enables the users to clone the entire hard drive as well as the individual volumes based on HFS, HFS+, FAT, and exFAT file systems, including the boot Volume. The tool also includes a helpful module - Backup - to create automatic backup schedule of selected files and folders of any Mac volume.